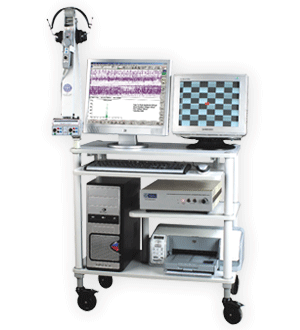 RMS is leading manufacturer of EMG (Electromyograph) machines in India. 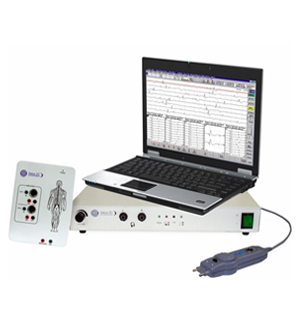 Versatile to use the RMS Aleron EMG series is the ideal EMG / NCV / EP System for any neurophysiological application. The system provides unparallel flexibility with user customized preset test libraries and a wide range of signal analysis applications. The Aleron EMG is truly unique, its small size and easy connectivity to a windows notebook pc and internal rechargeable batteries make it the ideal system for portable applications. The amplifiers have been designed and manufactured to produce superior signal quality. The standard tests provided by RMS include needle EMG, NCV, F Wave, H Reflex and many Evoked Potentials. RMS manufacturing the high quality EMG machines at very affordable price. RMS manufactures the high quality Portable emg machines at affordable price. We are the best emg machine manufactures in India. RMS Salus Series is clinically customized for quick and flexible operation. Its Software and Hardware is particularly designed with the consideration of actual tests being done in the field. Machine can be totally customized for various tests, nerves, muscles and sites with complete choice of amplifier, filter and sweep setting and also analytical settings like markers, their normative values for auto searching on the one time basis. Hardware is fully controlled by Software allowing complete setting to implemented for each test automatically without bothering the user. This makes the machine fastest of its kind without compromising the flexibility to perform large variety of tests with extremely detailed customization. All this is achieved by highly organized back-end database and actual understanding of the clinical use of the machine.